Ever try to hunt down that one item you need right now, only to find what you were looking for last week? The one complaint I hear most from people just moving to Florida is the lack of storage in Florida homes. Without basements and attics, where do you organize all that stuff? Realtors agree, one of the chief reasons to buy a new home is space. What if you could get more storage space without having to sell or add-on to your existing home? What if you could do it with a minimum of trouble and expense? What if this could be done with someone you already trust and respect? Sound like magic? Not really. You just need to tap into the under-used closet space in your existing home. Think about it – by simply using your existing closet space more efficiently you could double or even triple your storage capacity without sacrificing one square foot of living space in your home. You can customize it to suit your needs – space for clothes, shoes, boxes, hobby supplies, Christmas decorations, and more. You don’t have to stop with the bedroom closets either. Your walk-in pantry can contain massive amounts of storage space that could be put to better use. How about the unused areas of your garage? Any wasted space there? How do you tell? Look in your closet. How much bare wall do you see? Check above the top shelf, in the corners, and under your hanging clothes. 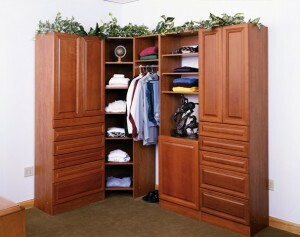 Anywhere you see more than 6 or 8 inches of exposed wall is valuable storage space that your closet is wasting. You could have a gold mine of storage space and not even know it. The best part is that it doesn’t cost an arm and a leg to squeeze every last drop of storage out of your existing closets. There are wonderfully functional and value-conscious closet systems that won’t eat into your budget. A line of standard-sized modular storage pieces that offers customized storage options could be your budget-conscious solution. 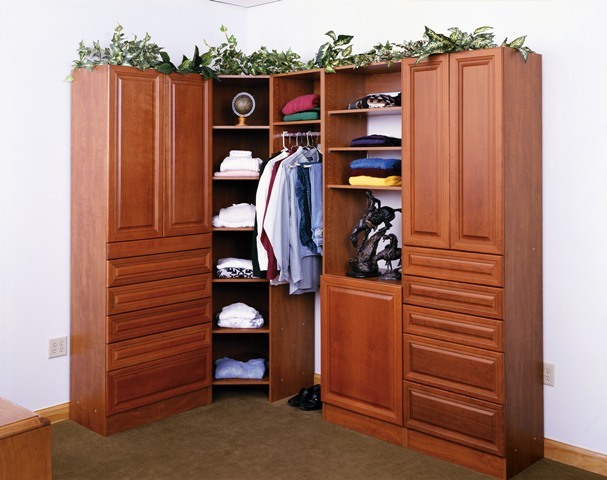 Of course, if your goal is treat yourself to a more formal master suite, custom closet solutions with wood cabinetry styles and choices you would find in any luxury furniture line. Concerned about selling your home in the future? You should know that maximized storage options add to the value of your home when it comes time to sell. 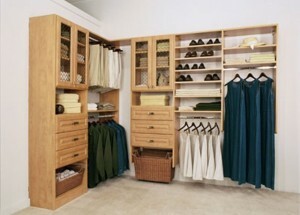 Think back to when you were shopping for a house – would a closet organization system be appealing to you? So perform some storage magic in your home – make life more convenient now and add a little to your home’s value for the future. Contact us for more details. This entry was posted in Design and tagged closet. Bookmark the permalink.